Princess Cruises is now taking bookings on its 2014-15 Americas program – including Caribbean, Panama Canal, Canada & New England and West Coast cruises. The new sailings include Regal Princess’ debut in the Caribbean as well as Royal Princess’ first cruises to Canada & New England roundtrip from New York. On the West Coast, new roundtrip sailings from Vancouver add another departure port for Hawaii and California Coastal cruises, and Crown Princess, the line’s newest ship on the West Coast, will offer its first full season sailing from Los Angeles. 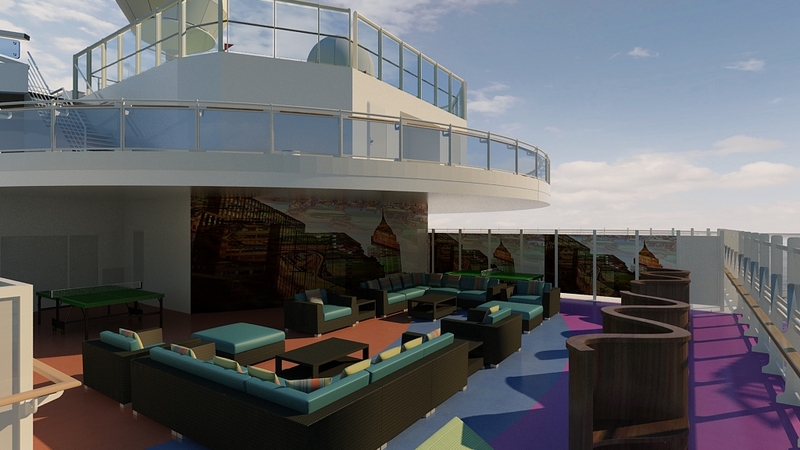 In total, 11 ships will sail on 355 departures of 46 itineraries to more than 70 destinations. In the Caribbean, passengers can choose idyllic vacations from three to 28 days, with roundtrips from Ft. Lauderdale and Houston. West Coast cruises sail from Los Angeles, San Francisco and now Vancouver to Hawaii, Mexico, the South Pacific, and along the California coast. For the first time Royal Princess will take passengers to Canada & New England, becoming the line’s largest ship sailing on these fall foliage cruises, joining Ruby Princess, also new to cruising the Eastern Seaboard. And Princess will continue to lead the way in Panama Canal cruising aboard favorite ships Coral Princess and Island Princess. Caribbean – Five ships will be sailing the balmy waters of the Caribbean from Ft. Lauderdale including, for the first time, the new Regal Princess offering the line’s popular seven-day Eastern Caribbean cruises. Sister ship Royal Princess will sail on 10-day Caribbean itineraries for the first time, on both Eastern Caribbean Voyager and Southern Caribbean Medley routes, which can be combined for a 20-day sojourn among the islands. In addition, Ruby Princess will offer a season of seven-day Eastern and Western Caribbean departures that can be combined into a 14-day vacation. Emerald Princess will sail on seven-day Western Caribbean voyages from Houston. Those looking for a shorter vacation option can choose from four- and five-day getaway voyages on Caribbean Princess to the Eastern and Western Caribbean. In total, passengers can choose from 204 departures on 16 itineraries to 24 tropical destinations. West Coast Sailings – Four ships will take passengers along the West Coast and to destinations such as Hawaii and Mexico from three homeports – Los Angeles, San Francisco and now Vancouver. Grand Princess will debut two new roundtrip Vancouver itineraries offered both in the fall and spring, sailing to either the tropical paradise of the Hawaiian Islands, or along the California Coast – including an overnight stay in San Francisco. For the remainder of the season, Grand Princess will be based in Los Angeles sailing on 15-day Hawaii cruises. Crown Princess, Princess’ newest and most innovative ship on the West Coast, will also sail from Los Angeles for a season of voyages along the California coast, to Mexico, and on Princess’ popular 28-day Hawaii, Tahiti & Samoa adventure. In addition, the ship will offer a series of three- and four-day Getaway sailings. Golden Princess will also offer the shorter Getaway sailings from Los Angeles during the fall. Star Princess will be based in San Francisco, sailing to Hawaii, Mexico and the California coast. In total, Princess will offer a total of 104 cruise options from West Coast ports. Canada & New England – Royal Princess becomes Princess’ largest ship ever to sail Canada & New England when it offers these cruises for the first time in fall 2014. With four departures from New York in September and October, the ship will take passengers on a seven-day itinerary to the New England ports of Boston, Bar Harbor and Newport and the Atlantic Canadian ports of Halifax and Saint John. For more time enjoying the fall foliage, Ruby Princess also sails for the first time to Canada & New England on the line’s popular 10-day Classic Canada & England itinerary featuring an overnight in spectacular Quebec City, and a new port of Gaspé, Quebec – an off-the-beaten path destination featuring a charming seaside village known for the picturesque Percé Rock. The ship will also offer a 12-day Colonial America & Canada itinerary between Quebec and Ft. Lauderdale. Passengers can choose to enhance their cruise vacation with cruisetour options featuring Colonial America sites or fascinating Canadian cities like Montreal, Toronto and Ottawa. Panama Canal – Coral Princess and Island Princess will once again lead the way in Panama Canal cruising with full seasons sailing through this wonder of engineering. Passengers can choose either a 11-day roundtrip itinerary from Ft. Lauderdale or a longer journey between Ft. Lauderdale and Los Angeles or Vancouver for the full-transit Panama Canal experience. Between them the two ships will feature 36 departures, to 21 destinations in the Caribbean, Central America and along the Pacific Coast. On January 29, Princess Cruises will beginning selling two preview cruises aboard Royal Princess, giving passengers the opportunity to get a taste of the new ship before its official inaugural voyage. The June 9 and June 14 cruises will sail roundtrip from Southampton, England, on a two-night itinerary featuring a call in St. Peter Port, on the island of Guernsey. Both voyages go on sale on January 29, with limited availability. Per person cruise fares start at $530 for an obstructed-view balcony stateroom.